Police are now on the hunt for a man known as Tafari Walton, who is accused of stabbing a woman to death in the Lake Macquarie suburb of Glendale. 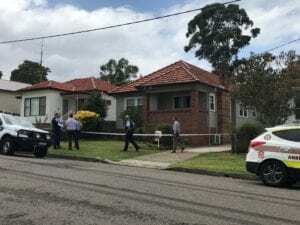 Emergency services were called to a house on Stephens Avenue around 11.30 on Wednesday morning following reports of a domestic violence incident. A 26-year-old woman was treated at the scene for multiple stab wounds and rushed to the John Hunter Hospital where she later died. Mr Walton, aged in his early 20s, is described as having a dark complexion, with a long black ponytail.